The jewel in RIM's crown, BlackBerry Messenger, may be making its way to multiple mobile phone platforms, including Android and iOS. The rumour comes via BGR, which reports that multiple trusted sources have told it that a BlackBerry Messenger app will first be available on Android before making its way to Apple's iOS. Further details are few and far between – there's no indication yet of timescales or pricing, although the sources are apparently 'confident' that BBM will launch on Android 'some time this year'. It seems that Android gets to go first because the open platform is much easier to integrate the service into; the restrictive iOS will be more of a challenge. BlackBerry users currently get BBM free on their handsets, but Android or iOS users may be charged a fee, be it one-time or recurring. 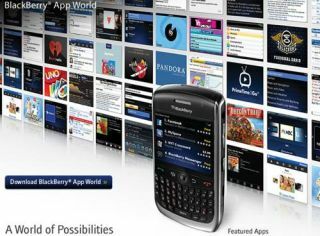 The app may offer a stripped-down version of BBM , which would still allow users to chat with friends but would restrict sharing media or location information; for the full, all-singing all dancing BBM, you'd need to have a BlackBerry handset. Brilliant move or misguided suicide mission? Apparently RIM reckons it can own the messaging app category and show new users the potential of a BlackBerry handset in one foul swoop; but on the other hand, the company could simply be giving away its best asset.